The Supermarine Spitfire is undoubtedly the most recognized fighter aircraft ever made and with its blend of beauty and performance has won the hearts of millions the world over. 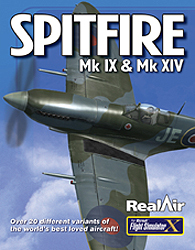 Developed by the award-winning team at RealAir, this package includes a total of 20 variations on the Spitfire, including the Mark IX Rolls Royce Merlin and the Mark XIV Rolls Royce Griffon-engined types. 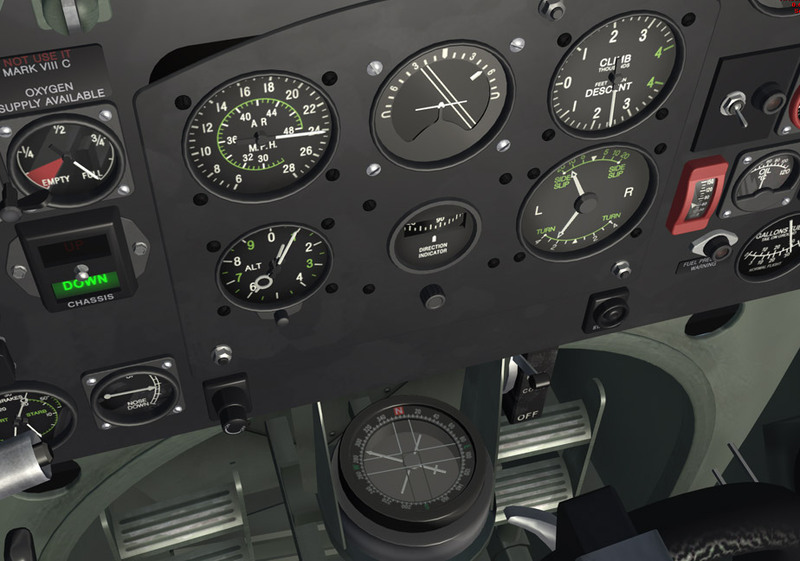 The twenty models have been painstakingly developed from the ground up for Flight Simulator X to take advantage of the new technology Microsoft's latest sim provides. 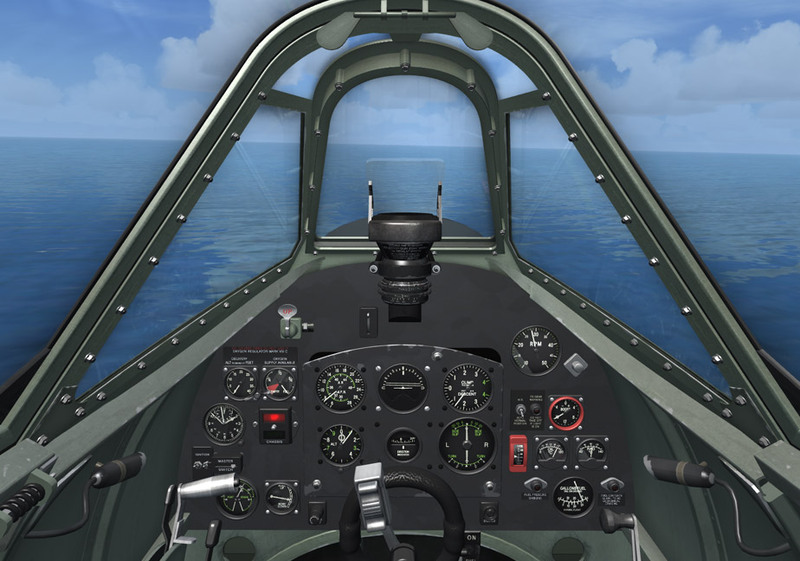 The package gives a wide range of fighter variants and even two civilian air-racer models: all designed with the incredible attention to detail and historical accuracy you'd expect from RealAir. 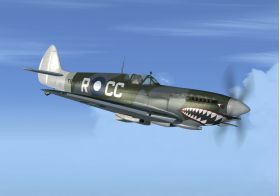 Both the classic elliptical wing models and later modified 'clipped wing' (which gave sharper and quicker handling at low level) types are included. 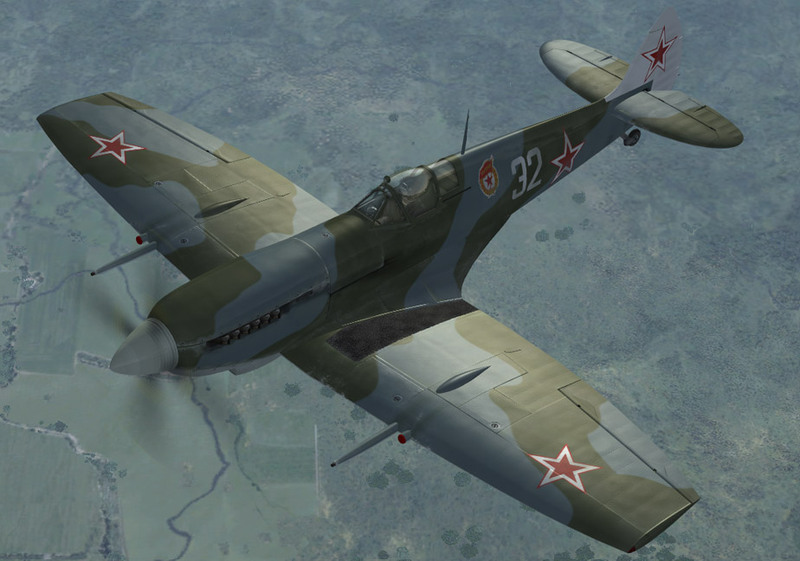 There is even a contra-prop version of the Mk XIV. 5x Mark IX Elliptical wing. 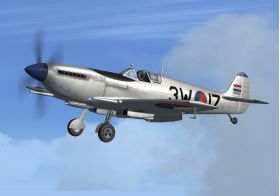 4x Mark IX Clipped wing. 4x Mark XIV Elliptical wing. 4x Mark XIV Clipped wing. 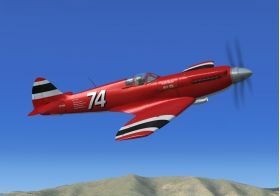 1x Contra Prop Mark XIV. 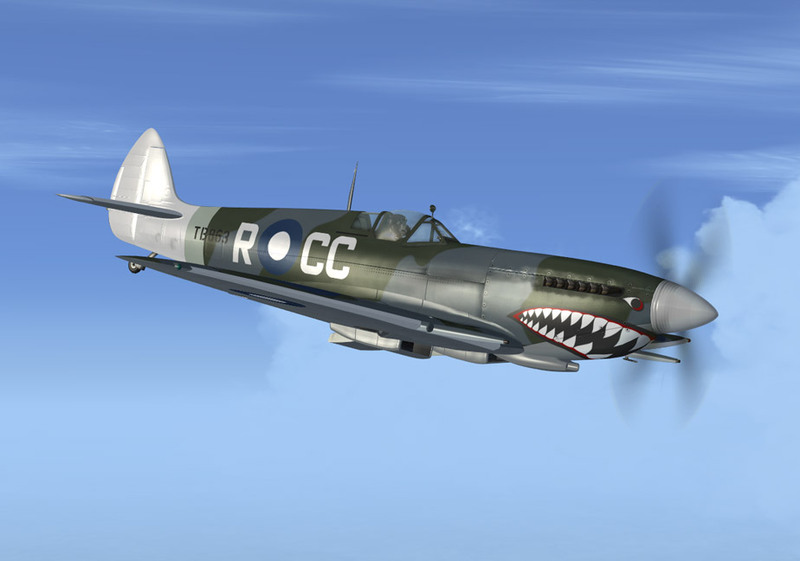 Each variation comes with the highest resolution, stunningly detailed exterior model with full bump mapping, "dynamic shine", and highly detailed Virtual Cockpits, some with authentic WW2 "worn" look and others with pristine restored condition, including off white and white panels for the racer versions. 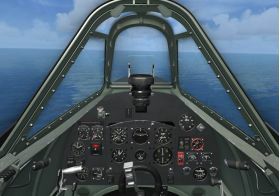 There are optional 16-bit and 32-bit textures to suit high-end and medium-end computers and graphics cards. 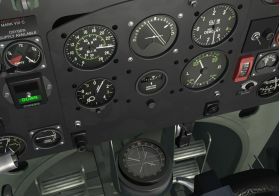 The virtual cockpits all have fully functioning true 3D gauges, levers and controls, all accessible in VC mode there is no need for 2D panels when the virtual cockpit looks and runs as good as this. RealAir's smooth gauge technology ensures that each gauge works with total fluidity. 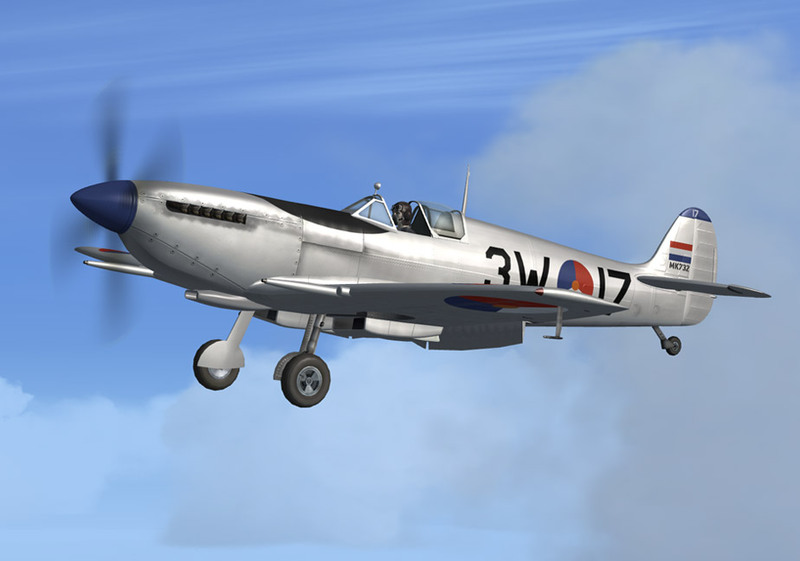 The package includes custom stereo sounds in two versions for each of the Mark IX and Mark XVI types. 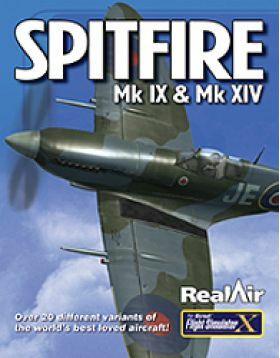 Also included in the package is an authentic rendition of the WW2 Fighter Station - West Malling in England which has a full suite of Artificial Intelligence Spitfires taxiing, taking off and landing. The scenery comes with period Blister Hangers, shelters, tower, runway, taxiways authentic WWII layout of the actual airfield. 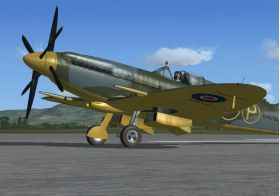 The Spitfire package also has many effects including an engine failure mode, belly landing effects, grass-trails from the undercarriage, stall buffet sound and visual effects and over-stress effects. Each variant has its own custom flight model with full spin and side slip capability, authentic engine torque effects and auto-supercharger mode.